What Is The Importance Of Drinking Water? TOPIC: What Is The Importance Of Drinking Water? We all know that water is essential to keep us alive. However, many people today do not understand the health benefits from water, and therefore do not meet their recommended daily intake. 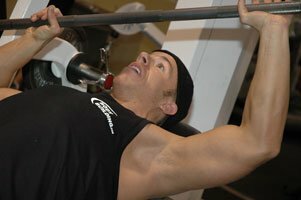 Why is it so important for bodybuilders to consume water? Are there any alternatives for the people who refuse to drink water? It has been another tough workout. A 5K warm-up followed by 60 minutes of weight lifting and completed with 10 minutes of active stretching. Now all I want is my bottle of water, although I do not know if I can find it with these red spots I am seeing everywhere. Well maybe this fictional workout is a bit overzealous, but I am sure that everyone can recall finishing a tough workout and reaching for that cool sip of water that seems to satisfy you to the very core of your soul. Why does that sip of water feel so satisfying and why is water so important anyway? Often overlooked, water is arguably the second most important compound life is dependent on; oxygen being the first. 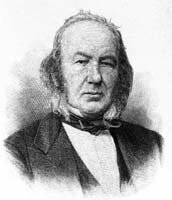 Claude Bernard, a 19th century physiologist, was the first to state that living organisms live in an external environment (air and water) but the cells that make up the organism live in an internal liquid environment (Rhoades and Tanner 2003). That was actually a very profound statement for the time since we now know that the human body is approximately 70% water. Most of the cells in the human body are not in direct contact with the external environment but are in direct contact with the internal liquid environment which is required for proper physiological homeostasis (internal stability). So what exactly does water do? Since there are so many answers and complex explanations required, I will hit the main highlights. We will begin on the molecular level to start. Proteins are essential molecules within cells and serve a wide variety of purposes which range from enzymatic activities to being key mediators in cellular signaling pathways. However, a protein's function is critically dependent upon how it folds up into its unique 3-dimensional shape. This folding is dictated by the water that surrounds it (Fersht 1999). Improper folding means a non-functioning protein. Moving up to the cellular level, with fully functioning proteins, cells work hard to maintain their volume. To overcome all of the osmotic forces, water is channeled into and out of the cell to maintain volume (Strange 2004). If the cell fails and it shrinks or swells due to osmotic pressure, it dies. Finally at the level of the organism where more of the functions of water are "visible", water is the principle component of plasma and aids the shuttling of nutrients around the body in the bloodstream, aids in regulating body temperature, moistens the air for breathing and keeps our mucous membranes hydrated (www.bottledwater.org). Water is so important to the body that two organ systems, the kidney and lower GI tract, function almost exclusively to ensure excess water is not lost. To Ensure Excess Water Is Not Loss. Water sure does a lot, which is why when the body has too little water the effects are devastating. Water loss, dehydration, occurs when the loss of body fluids exceeds the amount that is taken in. With dehydration, more water is moving out of our cells and then out of our bodies than the amount of water we take in through drinking. Remember what happens when cells are not able to maintain volume? The symptoms of dehydration are varied but include increased thirst (your brain telling you your body needs water), dry mouth and dry nasal passages, weakness, dizziness, palpitations (due to the subsequent electrolyte imbalance dehydration causes), confusion, inability to sweat, heat exhaustion, heat stroke and if ignored long enough, death (www.webmd.com). The reason why that first sip of water after your workout feels so satisfying is because at the most fundamental molecular level, you need water. Physical activity, such as bodybuilding, exposes people to a variety of influences that can lead to water loss. Everything from the duration and intensity of the workout, the environmental conditions in which it was performed and the type of clothing worn all greatly effect water loss (Sawka et al. 2007). Additionally, the individual's physical characteristics such as body weight, gender, age and metabolic efficiency also influence water loss. In bodybuilding, the contracting of muscles during weightlifting produces metabolic heat. Since the body prefers to maintain a certain core temperature, this excess heat must be dissipated to the external environment. Hence exercise is always accompanied by sweating. The loss of water through sweating can lead to changes in plasma volume resulting in the impaired ability to evacuate heat, increases in body temperature and decreased cardiac output (Ritz et al. 2003) In terms of the workout, dehydration results in a decrease in aerobic power and physical work capacity (Sawka and Montain 2000). When you become dehydrated, you are not able to lift as much and workout at the same intensity as you would have if you were not dehydrated. It's estimated that a 2% reduction in body fluids can result in performance decreases of up to 15-20% (Kleiner 1999). To have the best workout you can possibly have, you need to stay hydrated. You Won't Lift As Much When You're Dehydrated. To maintain proper hydration, the individual bodybuilder must consider their own water balance defined as how much fluid is consumed versus how much is lost. Exactly how much water is required to maintain the proper balance is the subject of debate. The American College of Sports Medicine recommends the following for proper hydration, summarized in the next few sentences, and is perfectly suited to bodybuilding (Sawka et al. 2007). Before beginning your workout, prehydration should be considered based on urinary output and color (darker indicates improper hydration) several hours ahead of time. During your workout, the goal should be to prevent excessive dehydration. Unfortunately, no one-size-fits all amount of water to consume can be recommended. The individual must determine their own fluid replacement requirements. This can be assessed by monitoring changes in body weight due to sweat loss. Frequently drinking during the workout is recommended at a rate of 0.4 - 0.8 liters per hour (~14oz per hour). Post workout, the goal is to fully replace any fluids. If time permits, consumption of meals and beverages will restore the proper fluid balance. If the food or beverages have sodium in them, it is even better. It seems that a general recommendation is that an average adult consume at least 2 liters of water a day to maintain a normal hydration state. What do you do if you don't like carrying around the 'ole tasteless water bottle? Not a problem. Maintaining the proper fluid balance, for most people, is relatively simple. Eating fresh fruits and vegetables contributes to your water intake. Drinking milk, fruit juices and caffeine-free teas and coffees are also good alternatives to plain tap water. Caffeinated beverages on the other hand present a bit of a conundrum. Caffeine is a diuretic and promotes water loss. Yet beverages that contain caffeine can be considered adding to your fluid intake, albeit to a lesser extent, since most people do not consume the required amount for the diuretic effect to play a major role (600 mg or more). For the exercise types, sports drinks are great both during and after the workout. Numerous companies also market and sell individual pour-in flavoring packs to add to your plain ol' bottle of water. While water is the best fluid to drink, there are more than enough ways to get your daily fluid intake required to maintain happiness and health. Fersht, A. (1999). Structure and mechanism in protein science : a guide to enzyme catalysis and protein folding. W.H. Freeman, New York. Kleiner, SM. (1999). Water: an essential but overlooked nutrient. Journal of the American Dietetic Association, 99(4), 411. Rhoades, R., and Tanner, G. A. (2003). Medical physiology. Lippincott Williams & Wilkins, Philadelphia. Ritz, P., Salle, A., Simard, G., Dumas, J. F., Foussard, F., and Malthiery, Y. (2003). Effects of changes in water compartments on physiology and metabolism. European Journal of Clinical Nutrition, 57 Suppl 2, S2-5. Sawka, M. N., Burke, L. M., Eichner, E. R., Maughan, R. J., Montain, S. J., and Stachenfeld, N. S. (2007). American College of Sports Medicine position stand. Exercise and fluid replacement. Medicine and Science in Sports and Exercise, 39, 377-390. Sawka, M. N., and Montain, S. J. (2000). Fluid and electrolyte supplementation for exercise heat stress. American Journal of Clinical Nutrition, 72, 564S-572. Strange, K. (2004). Cellular volume homeostasis. Advances in Physiology Education, 28, 155-159. Water, H2O, the basis of life on this planet, or whatever you call it, has a role to play in everything we do, everything that happens within us, and every function of the body. OK, so is there any importance? A question that most people would answer is a yes but they most certainly do not know why. We are told to drink 8-12 glasses of water everyday and our requirements differ with the climate we live in and our everyday activities. The food we eat cannot be digested if there is not sufficient water in the body. The body needs to replace 2 1/2 quarters of this water everyday to remain healthy but this is what everyone does not know. Water consumption plays an important role in the digestion of solid foods in the body. This digestion depends on a huge amount of water available for the whole process to take place. Acids & enzymes in the stomach break the food down into a homogenized fluid state which can pass into the intestine for the next phase of digestion. In simple words water helps in breaking down what we eat, into energy and then in transporting it to the parts of the body where it is required. Water dilutes the acids in the body, which may cause problems such as heartburn. Water is an undoubted vacuum cleaner for the body, as without it waste from the body would not be transported out of it. A situation of having lesser water in the body than normal is known as dehydration and this causes many problems. Dehydration may cause joint pain, stomach pain & ulcers, back pain, low energy, mental confusion & disorientation. So whoever does not want all this to happen should drink a good healthy amount of water each day. If our lungs do not have proper moisture it would be impossible for them to function and without breathing there would be no chance of reading on... so drink enough water. The body has its own way of keeping its temperature down which is by perspiration or sweat. As the body gets heated up we sweat and our temperature comes back to normal. This sweat is what dissipates the excess heat and without water even this cannot happen. This is the part I guess everyone is more interested in reading. The most important factor when bodybuilding is of course the diet that we eat (the inputs), our exercise, and the processes that take place inside the body such as digestion, transportation of nutrients, and the waste system; that is how we excrete our wastes. We can conclude that a person who weighs 150 lbs with 10% body fat is made up of 15lbs of fat, 40.5lbs of bones and muscle and 94.5 lbs of water - now this is something that should be really stressed on when setting up a diet plan as water intake is as necessary as eating carbohydrates and protein. We'll directly come to the process, how it takes place, what happens, and why water is needed. Water, in the form of blood, is required for the transportation of oxygen, nutrients and hormones to other parts of the body and all play a role when it comes to bodybuilding. Oxygen causes proper respiration and the release of energy for workouts that would be impossible without it. Nutrients required for growth and repair of muscle tissue are also transported with the help of water in the blood stream and to keep this entire process going on a sufficient amount of water is required. Coming to hormones it can be said that without the proper release and supply of hormones muscles would not grow and without proper water supply these hormones would not be able to function properly thus causing exercise to be a waste of time. Water metabolizes excess fat and so someone with fat loss goals would benefit from the drinking of water. A glass of cold water every now and then would restart the digestion function and use energy and burn calories as the water will first have to be heated to be used in other body functions. Proteins and enzymes found in the body will function more efficiently in lower viscosity fluids, which is why it is important to balance with a proper intake of water. Water regulates all functions of the body including everything that it helps to circulate and dissolve. So when it comes to body building and building muscle proteins play the biggest role in the body so making them function properly is also an important task. So the more water we drink the better. It should be understood that bodybuilding is the healthiest activity one could indulge in but makes the person different in a way. An enormous amount of water is lost while working out and so an enormous amount has to be taken back in by drinking; so when bodybuilding drinking water is even more important. Why at the back of every supplement are we told to consume a large amount of water? The only reason is that water is required for it to dissolve and without drinking enough water not only would there be side effects but also a waste of money. When talking about processes we should not forget the brain from where all the signals are taken. Although the brain makes up a very small amount of the total body mass it requires a huge amount of blood flow which is mainly water. So even for the brain to function properly water is required. Coming to the waste that the body releases: when exhaling from the lungs a small amount of water vapor is released, water is required for sweating, and of course when it comes to the disposal of food water is again required. Bodybuilders require more water as more food is taken in and so there is relatively more waste of every form. Water takes part in all the chemical reactions that take part in the body - metabolism is such a set of chemical reactions in which water is used - and without water these reactions would not take place and muscle building would seize. It is very important to keep the body in an anabolic state and for that water along with other nutrients is always required. As water is required in all functions the stopping of a single function would lead the body to go into a catabolic state where it loses muscle which is the complete opposite of our goals. 75% of the upper body weight is supported by the water volume that is stored in the spinal disc core. 25% is supported by the fibrous materials around the disc. The spinal joints are dependent on different hydraulic properties of water which is stored in the disc core. Back pain is frequently alleviated with hydration. So to keep yourself away from back pain water is an important nutrient and it needs to be changed, the more you replace the better. Our bodies require lubrication of our joints from water, much like oil is used to lubricate a car. The cartilage tissues found at the ends of long bones & between the vertebrae of the spine hold a lot of water, which serves as a lubricant during the movement of the joint. When the cartilage is well hydrated, the two opposing surfaces glide freely, & friction damage is minimal. If the cartilage is dehydrated, the rate of "abrasive" damage is increased; resulting in the joints getting damaged & increasing pain, and for a bodybuilder frequent joint pain could mean the end of a very good career. A concept is that only camels have humps to retain water for times of shortages, but it should be noted that even humans can live for a few days without water, how? The human body too retains water which in bodybuilding terms is known as water retention and is one of the biggest barriers for guys competing in getting to their peak shape after the reduction of body fat. The body would normally not do this if it gets a proper supply of water; so to lower fluid retention while competing in the off-season we should drink more water, not less. By not drinking water we disturb every physiological function of the body and create nothing but confusion within. Magnesium controls muscle contraction, protein metabolism, blood coagulation, and energy production, among other vital tasks. Failure to take in enough magnesium over time leads to high blood pressure and osteoporosis. The human body needs calcium to develop strong teeth and bones. With that, calcium can combat osteoporosis and other bone disorders. It also helps in regulating nerve transmission, blood coagulation, and muscle contraction. Though debatable, sodium has its negative effects and increases blood pressure. These minerals can be taken from a multi vitamin, but the advantages would differ as would some properties. After all that we've discussed this question is hardly debatable, but there may be 2 ways in which this question could be understood. Firstly, people who do not want to take as much fluid and secondly people who would prefer a beverage or drink over pure water. To the people who don't want to take in fluid in any form... it's going to be quite hard for them to workout at least. But for those who want an alternative to pure drinking water, this might be possible as you have to bring in variety and it quite logically is hard. Milk, some juices, maybe even decaffeinated drinks such as coffee can provide water without a negative impact. However most fruit juices, regular coffee, sodas, etc. are neither affordable nor good for health and could cause other problems. So what would be most suitable is a combination so that it doesn't get too difficult; but soft drinks and too much caffeine should still be avoided for health reasons. To conclude: drinking water is an essential part of stimulating growth in the body as well as keeping it running. I hope this helps everyone even though some points might still be debatable. How much water needs to be taken in depends on body fat, body mass, activity level, humidity, and heat exposure. At least 8 glasses is what is suggested by doctors, but for anyone involved in a physical activity I would recommend more, what do you think? As you have probably heard many times, but may tend to forget, water accounts for approximately 60-70% of the weight of the human body. Something you may not have heard, however, is that the brain is made up of 95% water! It simply makes sense that keeping a regular water intake would be important to the average sedentary human. It is even more essential for the bodybuilder, however 1. Drinking water is one of the most undervalued variables in the quest for living a healthy life. When one attempts to get in better shape and turn their life for the better health-wise, nutrition and exercise is the concentration of most. While these two aspects are undoubtedly extremely important, overlooking the importance of water may be a downfall for many. Like already stated, the human body is between 60-70% water. Signs of dehydration may become apparent with only a 2% drop in water! While that may not seem too bad at first glance, this is just the tip of the iceberg, as a 2% drop is likely to occur in many individuals. Some signs/symptoms of this dehydration may be hindering your work or performance, and you may have no idea it is water related 1. Those who suffer from daytime fatigue may be under the impression they need more sleep, or work too hard. While these are certainly possibilities, if they are suffering from mild dehydration, more water would do the trick. Basically put, the body cannot perform the functions it needs to in order to stay alive with insufficient water. Every function in the body requires water, and if your intake is sub-par you could be in for some trouble. If you happen to suffer from constipation, sore joints or dry mouth, your issues may be solved simply by increasing your water intake 1. That is just a few examples of bodily functions affected by water, but there are plenty others. Water also plays a huge role in maintaining metabolism, and can stabilize the appetite as well. Switching from soda or juice to water would help those who are overweight or obese immensely. As already stated, water is extremely important for every human to consume. High consumption of water is much more important in bodybuilders, however. The average sedentary individual needs enough water for their internal bodily functions throughout the day. A bodybuilder needs this water as well, but also needs more for all the other demands the body will have. For starters, bodybuilders sweat more than a sedentary individual, so water is obviously important to replace lost fluids so the body can function optimally. Apart from the extra sweating, water is more important due to the bodybuilder's diet. The normal diet for a bodybuilder is very high in fiber, but even more likely protein. With such high levels of protein there can be excess nitrogen and urea, which will be cleared out by extra water. Water also helps the kidneys do their job. In regards to fiber, those who consume a lot of fiber, but a little water tend to become constipated rather easily. Water is essential for the digestion process, and will keep you regular when taking in so much fiber. Bodybuilders are usually very concerned with water retention, especially near a competition. Although it goes against common sense, the less water you drink, the more you will retain (essentially). This may not make sense to some, but it is simply the way the body operates. When there is a low intake of water, the body will think it won't be getting a lot, so it holds on to as much as possible. When intake is high the body knows it will have plenty of water, so it gets rid of excess water. Unfortunately the diet of a bodybuilder tends to be very high in sodium as well, as many of the common foods have high levels of sodium. This simply increases the demand for water to prevent retention. Water is also a very useful tool for those who are trying to lose weight. Water will help keep you full for longer periods of time, and like already stated, supports all metabolic processes. It is more difficult to oxidize fat if there is no water to help with the process. Water also replaces calories from other drinks. Simply replacing juice/pop with water could do wonders for the average American, although most bodybuilders don't really have this issue, but some certainly may. Water is also extremely important in the role of creatine supplementation, which all bodybuilders should use in my opinion, and many do. Creatine has many benefits for bodybuilders, and plenty of information can be found on this website. One thing it does is help to fill the muscles with nutrients, including water. If insufficient water is consumed, it will not work as well. So keeping water intake high is crucial while on creatine 2. Whether people admit it or not, it is impossible to literally refuse water without dying. What I mean is, everything you drink is composed of some, or in most cases, mostly water. So drinking other drinks is not avoiding water. Now, for the person who refuses to drink simply water due to it being tasteless, there are some alternatives. The obvious alternatives are to drink other drinks to make sure that you still get a lot of water. Many of these drinks may consume unwanted calories and sugars, which is certainly not optimal for bodybuilders. In this case, there are much better alternatives. Consuming drinks such as crystal light can be life savers for those who refuse to drink straight water. Crystal Light has very few calories, and tastes very good. Other flavored waters can also aid those who won't drink straight water. In this case the extra calories are not an issue; however artificial flavorings and sodium may be present. Of course, this is less detrimental than calories and sugar, but still not the same as pure water. The bottom line is everyone needs an adequate intake of water, and it is even more important that bodybuilders get enough. It will assist you in your physique goals, as well as help you perform to the best of your abilities both in the gym and at work. A general rule of thumb for bodybuilders is to get 1 gallon of water per day. This is very vague, however, as different bodybuilders have much different needs. I personally drink more than 2 gallons, because I need that much. You should be able to judge how much water you truly need after a few days, and adjust accordingly. Good luck with your goals, and I have no doubt that sufficient water intake will help you more than you could ever imagine.